Closer look from outside of SRK’s Bungalow, “Mannat”. 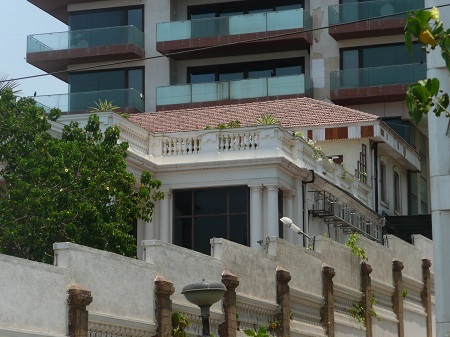 Picture of Shahrukh Khan’s bungalow, “Mannat”, and his 6 storey building behind it. The 6 storey building has his offices, gym, library, guest meeting rooms, entertainment rooms, etc.